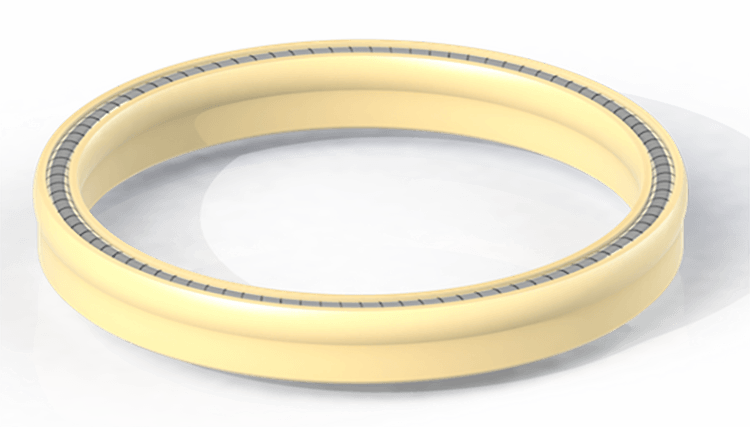 Extended Heel Helical Seal - Eclipse Engineering, Inc.
Helical seals are a common choice for high pressure static joint seals. As such, a simple performance upgrade to an extended heel seal can make a very big difference. By specifying and extended heel version, pressure ratings can be doubled over non-extended designs. This becomes a very useful feature in cases where pressures are so high, that gaps are created between hardware interfaces, such as in pressure vessels. These gaps can be detrimental to a standard seal. Specifying and extended heel will add additional safety factor to any design.